In his first F1 race since the 2017 United States GP 17 months ago, Kvyat came from 15th on the grid to finish 10th. 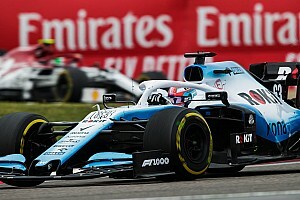 He gained ground with a long first stint, then overcame a trip through the Turn 3 gravel while trying to overtake Lance Stroll's Racing Point before repassing Pierre Gasly's Red Bull on its out-lap. "I tried," said Kvyat of the move on Stroll. "It was a late move. I was coming very fast, DRS open, late braking. I locked the inside wheel, and it was very frustrating. "I thought 'oh, it might be that the race is lost', but then I went on. "I still had a bit of gap behind. It was hard to stay cool, but then I pushed like an animal for the next few laps and I was on his back again in eight or nine laps." 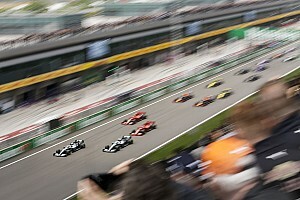 Kvyat had previously resisted Gasly throughout the first stint, and then kept him at bay to the flag while joining Nico Hulkenberg's Renault, Kimi Raikkonen's Alfa Romeo and Stroll in a five-car battle for seventh. 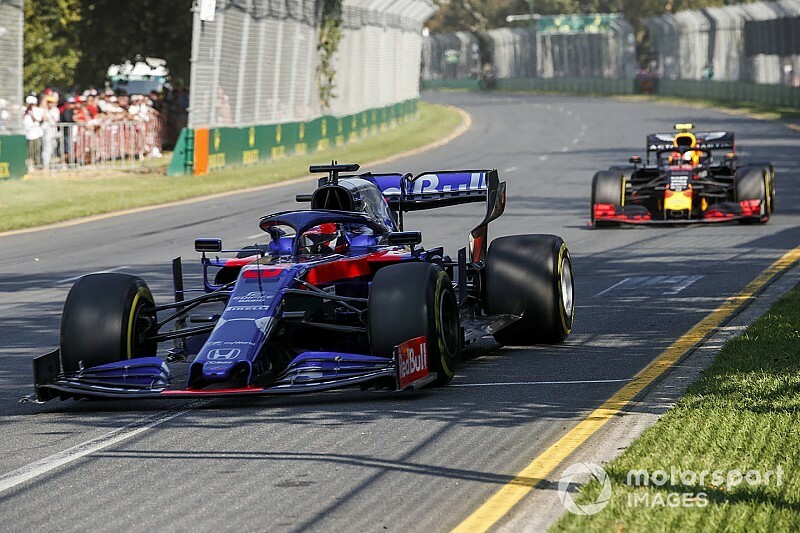 "One of the most difficult points I've earned, I would say, but very satisfying at the same time because we kept a quicker car behind us a whole race," said Kvyat. "So it's very encouraging for us as a team. We were catching a lot the teams ahead of us too. "I tried to overtake, but it proved to be very difficult here. But at least I tried. I wouldn't be happy with myself if I wouldn't." Gasly ran 11 laps longer than Kvyat before pitting and benefited from clear air in that time plus the Toro Rosso's trip off the road. But Gasly was still only just in front of Kvyat when he rejoined after pitting and the Toro Rosso made a move stick on the Red Bull's out-lap. 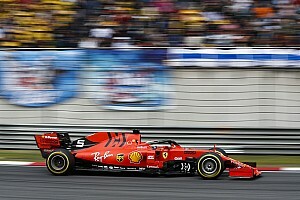 "When he went out of box, I thought 'ah, I need to try to make a move', but when I saw when I overtook him, that he was on reds, I thought he might get back at me," said Kvyat, who was on medium tyres for the final stint. "But I just had to close the door a couple of laps, and than he was in my dirty air, and I was able to always have those 5-10 metres of breathing space every lap. "It was important not to make any mistakes from my side, because he had a big pace advantage. "And I managed to keep him behind. It is very nice. It gives us a good confidence for the whole team, that we can keep this kind of car behind us. "From lap one he was just on my tail, and on lap 58 he was still behind. So it's very good." 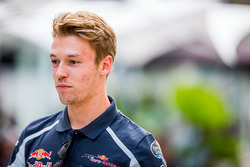 Asked if he had treated Gasly any differently when overtaking because of Toro Rosso and Red Bull's relationship, Kvyat replied: "I obviously left him space. But I would leave the space to anyone there, you can't just close the door." F1's fastest lap bonus: A much-needed addition?